Michelle Shimmy (or Shimmy, as she is better known) is the co-owner of the Pole Dance Academy in Bondi Junction, Sydney. Shimmy has a background in rhythmic and artistic gymnastics, belly dance, and aerial circus. Shimmy has been pole dancing since 2006. She has performed and competed in numerous venues around Sydney and internationally. 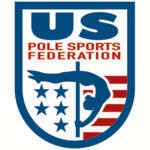 She is the co-creator of the worldwide pole competition Pole Theatre, which promotes the performance side of pole dance. Shimmy is also a proud Brand Ambassador for Bad Kitty and X-Pole.